Survival Hydration :: Drink Clean Water Only! Getting started in your prep ping adventure can be difficult. With so much to do and so many things to store away, where do you start? What I suggest to my customers and clients is to start with the most basic, life-sustaining item - water. Consider, if you will, a scenario where the power is out and has been tor more than a day. You drive to the local store to get bottled water, but all of the shelves are bare. Where are you going to get water for yourself and your family? Hi is is going to get serious fast. Water is life, and being able to use a water source, whether it's in the form of a puddle, a stream, ol the toilet reservoir will allow you to keep going and survive. If you've already stored some water, let's say in five-gallon water jugs, that's great, but what if you have to leave your home for a safer place? You might need something easier to carry, as well as the ability to filter - you never know where you might go. Portability is a chief concern in a survival scenario, and the environment is always fluid and changing. 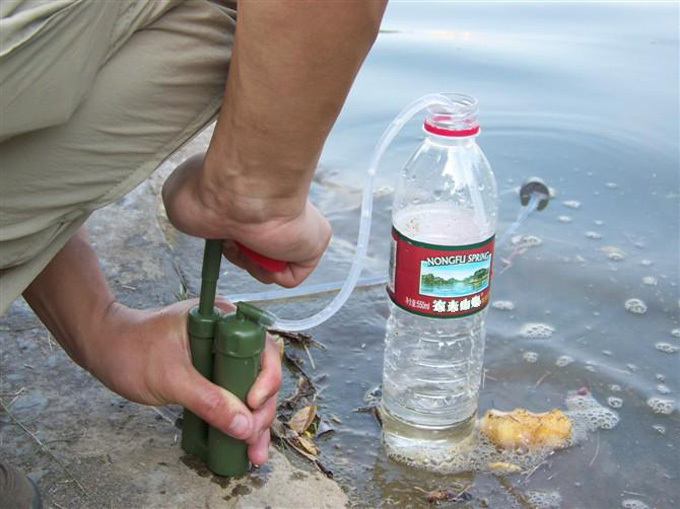 There are a lot of water filters and survival water purifiers on the market, and they come in several forms, everything from whole-house filtration systems to counter top pitchers and portable bottles. Some filter out more harmful pollutants than others. When deciding which is best, I tell my clients to get the best they can afford, and preferably something transportable. Ideally, you would want a system that offers a filter in a BPA-free portable bottle, and removes all four areas of contamination and radiation. CHEMICAL; Industrial and volatile organic compounds. DISSOLVED SOLIDS: Anything that has broken down in the water, which you can no longer identify. Hi at would be a lot for one filter to handle! While that's true, there is a filter that will. It's a patented design created by a company called Seychelle. Their Extreme filter does all of that, and it's the only one on the market that does. My clients and i swear by them. So there ya' go. You can get started with your own prep ping, and it won't cost you an arm and a leg. Water is life, and if you have healthy water, you've already won half the survival battle. DRINK ALONE: Because you never want the company of parasites in your water! "If you feel thirsty you are already on the way to being dehydrated. How quickly is dependent on the amount of activity and fitness, coupled to the temperature, and everybody is different. Military studies have concluded that after only a 2% loss of a person's body weight through perspiration, the body will experience impaired performance. After a 4% loss the body's capacity for muscular work is on the decline. Heat exhaustion will occur after a 5% loss. At a 7% loss hallucinations start and after a 10% loss the body will experience circulatory collapse and heat stroke - a life threatening emergency that needs immediate medical attention. Even just walking or fishing in the hot sun without adequate head and body protection can make you sick in extreme heat. To avoid heat stress and cramps I have at least two-heaped teaspoons of powdered sports drink a day, which rehydrates by replacing minerals and fluid lost. 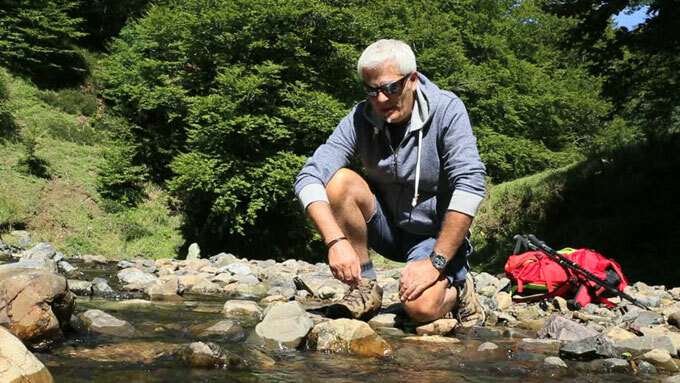 Also, I camp on top of stream banks to catch the breeze, and string a large breathable fly between a few trees or vehicles for extra shade and air flow instead of camping in a hot tent during the day." As they ran past at a maximum range of 40 metres, we managed to bag two each before the mob dispersed. Walking to the head of the gully, I received the surprise of my life. I had been at the neighbouring spring a dozen times, but had never known of the existence of this pool. It was big and wide and deep. Just what my indigenous mates would have called a 'living water'. And they were right. This was the pool that the settler had relied on. The spring was only for the house supply. Oh well, you live and learn they say. Everyone who has spent some time in the bush has felt a bit thirsty, but how do you tell if you or one of your companions is suffering from heat stroke? Heat exhaustion by itself is serious enough, but heat stroke islife-threatening if not treated promptly and effectively. One difficulty to be aware of is that because a symptom of heat stroke is confusion and odd behaviour, it is difficult to diagnose its onset in oneself. Now I admit that there are plenty of jokes that could be developed around that statement, but when the humour has died down, the seriousness of heat stroke remains. The onset of heat stroke should be considered in anyone who develops confusion, shows signs of heat exhaustion and staggers when they walk. Nausea, diarrhea, headaches, dizziness and muscle cramps can also be indications of heat exhaustion. Excessive sweating is not a certain indicator. Sweating may be present or absent depending on the individual's metabolism. Rapid breathing and a rapid pulse rate are further indicators. In the bush, the only way you may have to judge whether these are abnormal is by comparing them with your own and with those of other members of the party. Medical indicators used to diagnose this dangerous state include all the above symptoms along with a lower than normal blood pressure and an elevated body core temperature. As the latter is determined using a rectal thermometer, I don't see it being too popular under most conditions. Hydration is essential during sustained combat operations. 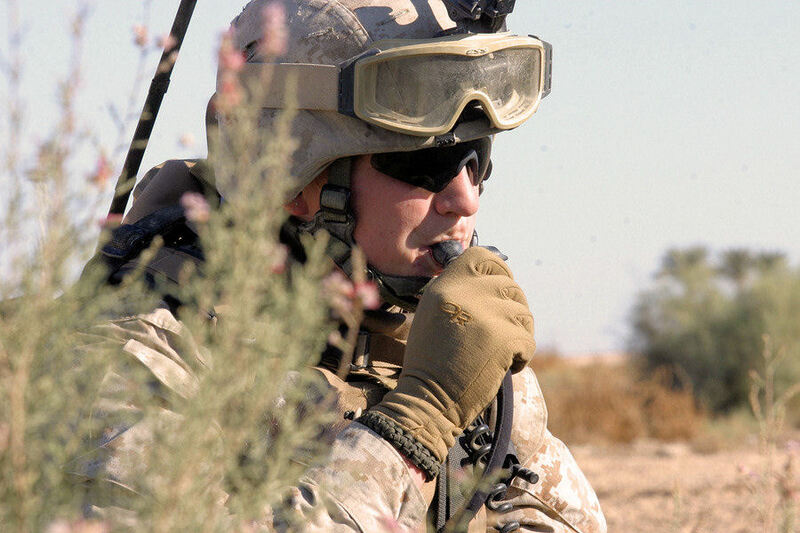 Typical exercise requires about 25-30 oz of water per hour; a typical 3L hydration system may support a 4-5 hour mission. When heat stroke is suspected, begin cooling the patient immediately; the sooner this is done, the greater the chance of full recovery. If cold packs are available, activate them and place them on the patient where the blood supply comes close to the skin's surface. The neck, groin, armpits and chest wall are suggested. It may be necessary to place very cold items in a T-shirt to prevent skin damage. Use common sense when determining if this is necessary. Move the patient to a cool shaded position or erect shade if a hootchie is available, but don't put them in a tent where no breeze can flow. Every little bit helps in these cases. Remove restrictive clothing and wet the patient and fan him or her to promote evaporative cooling. Never administer alcohol or use alcohol to sponge the victim down and never give painkillers. To avoid heat illnesses, one must acclimatise. If you leave one of our southern cities after working in air-conditioned comfort and fly into the tropics for a fortnight of pig hunting, you will be seeking trouble unless you spend three or four days in the heat exercising moderately. Just hanging out in the bar of the hotel next to an open window is not going to help, even though you might feel hot. Moderate exercise and sweating switches on the body's natural protective systems. Dehydration interferes with heat acclimatisation so excessive consumption of alcohol is definitely forbidden. Try to maintain an adequate intake of water and in certain cases, which your doctor will indicate, it may be useful to take oral rehydration salts in measured doses of water. Surprisingly, the body will sometimes demand that you drink five or six litres of water each day in certain hot conditions. The necessity for lightweight, light colored and loose-fitting cotton clothes and a wide-brimmed hat are obvious. Remember that radiation and evaporation are the body's two main ways of preventing a build-up of heat. Give it every assistance to maintain these mechanisms efficiently. HYDRASTORM IS a multi-patented hydration system designed exclusively for military special operations - it will outperform anything currently on the market. Just think, if it can withstand the demanding activities of military personnel, you can bet it will meet your needs while out hunting, fishing, hiking or jogging. The Runner sets itself apart from other HydraStorm systems with its unique lumbar design. Just throw it on your waist and go. It has two accessory pockets: one inside the main compartment for larger items such as extra ammunition, food, gloves, etc, and another on the outside of the main compartment that is ideal for a wallet or keys. The Runner is superseded though still available from some sporting goods stores for about $155. See below for newer models. WHEN YOU'RE out in the bush and thirsty, you'd do just about anything for a drink of water. With the Tidal Rave from HydraStorm, all you have to do is reach for the durable insulated tube and that's it. 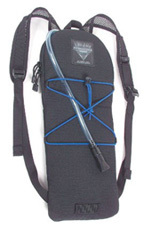 With a RRP of just $100, the Tidal Rave gives you up to three metric litres of hydration. It has a tough lightweight mesh shoulder harness and a bungee retention system to keep clothing readily available. Designed for basic outings, it is available in black and is made with a rip stop NyTaneon outer shell and moisture wicking mesh inner back to keep you cool and comfortable.